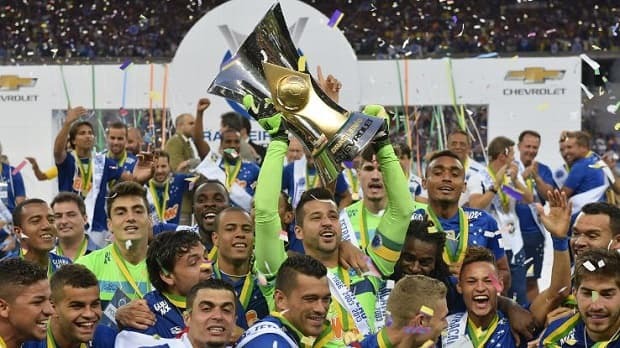 The Copa Libertadores is the top club competition in South America, the equivalent of the Champions League in Europe, and it’s the pinnacle of inter-continental football in that part of the world. The competition has been dominated by Argentine and Brazilian teams over the last decade, and that might be set to continue, with the top six in the betting all coming from those two countries. The tournament group stages kicked off in February, so we’ve already got a bit of form to assess as we look for the winner, and we’re concentrating on the Brazilian and Argentinian representatives. These two countries have won the last six Copa Libertadores between them, with Brazilian teams taking four titles and Argentine teams taking two, including last year’s competition which was won by San Lorenzo. Remarkably, the two countries have been responsible for at least one finalist, in every year of the competition since 1991, and they are mob-handed once again. Corinthians finished 4th in last season’s Brazilian Serie A, but they’ve made a blistering start to their group campaign, in what is a very tough quartet of teams. Their group also contains Sao Paolo (who finished 2nd in Brazil last year) and San Lorenzo of Argentina, who won the competition last year. Corinthians have won all four matches so far though, and top the group with 12 points. They’ve beaten both of their main rivals already, as well as recording two wins over group whipping boys Danubio. Sao Paolo and San Lorenzo are on six points apiece and it looks like they will fight it out for 2nd place. Corinthians are one of only two teams to have a 100% record after four games (Boca Juniors is the other), and they are already assured of a place in the knockout phase. We think Cruzeiro represent a better bet at the prices though, despite the fact that they’ve drawn two group matches. They still top their group with five points from three games, and should progress to the knockouts. They were held at home by Argentinian side Athletico Huracan, and also drew away at Universitario at high altitude in Bolivia. But they won away in Mineros, and with home games against the latter pair to come, they should get the points they need. They won Brazil’s Serie A last year by a landslide ten points, and will be a match for anyone they play as the competition goes on. They last appeared in a final in 2009 when they lost to Estudiantes, and you have to go back to 1997 for their last Copa Libetadores win, so they have plenty of motivation to have a good tilt at the trophy. Argentinian side Boca Juniors made their way to the Copa Libertadores via a play-off against Velez Sarsfield, and after four wins from four matches, they’re another side assured of a place in the knockout stage. In fairness though, they haven’t had the toughest group, with Santiago Wanderers, Palestino, and Zamora, so their achievement of a 100% record isn’t quite as good as that of Corinthians. They’ve made a good start to the fledgling season in Argentina, and currently sit second in the table behind San Lorenzo, but the increase in the league from 20 to 30 teams this year in Argentina will surely count against sides from that country as the fixtures pile up. Internacional were third in Brazil last year, and they look to be in a strong position to make it through to the next phase. They’re on 7 points in second place behind Emelec on goals difference, but they’ve played both games against that group rival, recording a win and a draw. They’ve also played (and lost) their away game in the Bolivian altitude against The Strongest, and with home games against them and Universidad de Chile, they ought to qualify. They won the Copa Libertadores in 2010 and 2006, so they have a good pedigree in the competition. Estudiantes might also struggle with the extra fixtures in Argentina, and it will be difficult for them to repeat their Copa Libertadores win of 2009. They’re top of their group at the moment with 7 points and it looks like a three-way fight between them and Libertad and Athletico Nacional. They haven’t had a great start to the Argentinian league though, and have already lost three matches from seven domestic fixtures, and it’s hard to envisage them going all the way in this year’s competition. Sao Paolo are another Brazilian side who always have a weight of expectation behind them due to their illustrious history, but they haven’t reached a final since 2006. They were defending the trophy on that occasion after winning it in 2005, but couldn’t make it back-to-back wins, losing to Internacional. Their qualification from the group hangs in the balance, as they’re in the same group as San Lorenzo and Corinthians. With the latter having already all but sewn-up qualification, it’s a two-way tussle between Sao Paolo and last year’s winners. They’ve already played each other twice, with each recording a 1-0 home win, so it will come down to the results in the last two group fixtures. Sao Paolo travel away to Danubio and face a home clash with Corinthians, while San Lorenzo play Danubio at home, but have a tricky tie away at Corinthians. Sao Paolo are probably slight favourites to make it through by virtue of the fact that they are at home to Corinthians, but it could well go to the wire, and a bet on Sao Paolo to win the trophy makes little appeal. If you fancy them to get through the group, then the price is a good one, but it’s a risky proposition. Cruzeiro make plenty of appeal this year. They waltzed to the title in Brazil last year, and will be eager to win a trophy that has eluded them for 18 years.